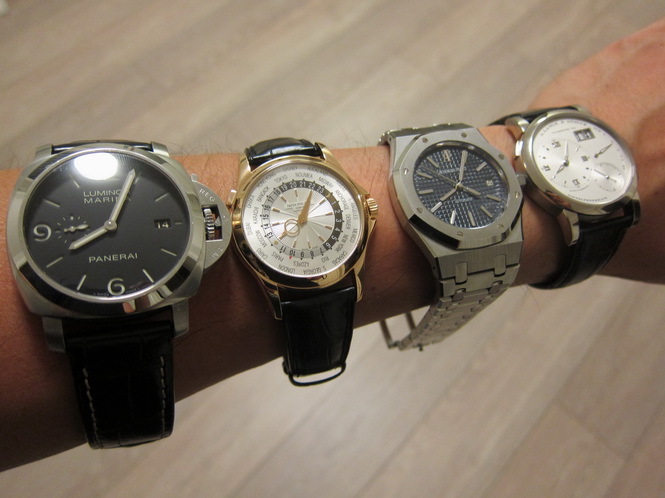 Most watch aficionados would have owned a Rolex at least once (or perhaps multiple times) in their watch collection journey. When looking for my second watch I immediately started browsing the Rolex corner of my local authorised dealer. Not long after, I walked out with yet another shopping bag. With so many choices, I had narrowed it down to three Rolex sports watches. The Rolex Milgauss GV with green crystal was on my list. However I decided against it as it didn’t ‘sing’ to me. 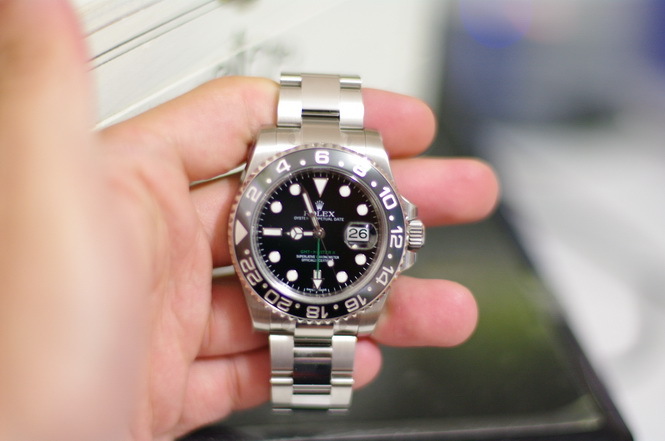 I then thought about the black or green anniversary bezel Submariner (before the Ceramic ones were released). 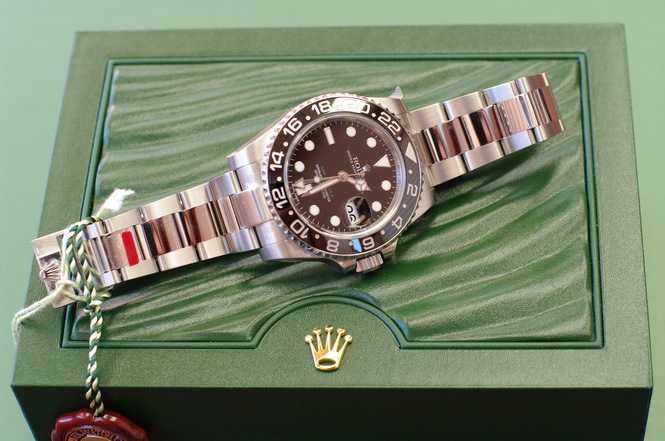 The Sub is a popular icon for Rolex. It’s popularity was partly the reason why I didn’t pursue it further. Finally there was the GMT-II Ceramic. I was an admirer of the GMT feature and the ceramic bezel. With a Maxi dial and quick adjustment bracelet, the scene was set for another purchase. The “GMT-IIc” as many refer to it has a larger sized case at 40mm. As a result, on my small wrist it certainly had a presence to it. However still very wearable and certainly not monstrous looking. A mix of polished and brushed stainless steel surfaces was probably not ideal at the time for me as I was quite cautious about picking up scratches (not so much these days). The edges are sharp and Rolex’s 904L stainless steel certainly has a nice smooth feel to it. The Cerachrom (fancy name for Ceramic) bi-directional bezel clicks ever so smoothly. The ceramic bezel has a mirror like black shine to it, however picks up finger prints easily. Nonetheless it is perfectly executed with platinum filled numbers. With a loupe I could not find any imperfections. I was lucky not to have chipped or broken the scratch proof ceramic bezel. They are developed to last a very long time compared to the older aluminium bezels however are more brittle and very costly to replace. I did knock it a few times but it held up well. 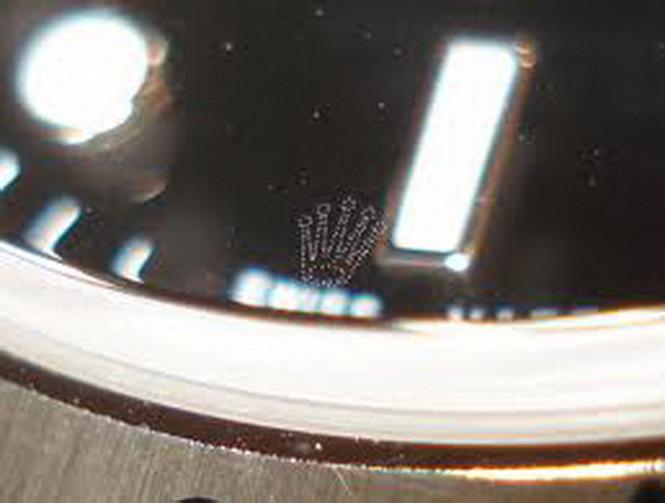 To prevent counterfeiting, there is a micro engraved Rolex crown near the 6 p.m. marker on the crystal. Next time you come across a modern Rolex, try and see if you can find it. Water resistance is rated at 100m and it has no issues in light diving, showers or at the pool. The trip-lock crown (3 rubber seals inside the crown) are a welcome addition in case you ever forget to screw down the crown before jumping into a pool. The case and watch itself is a workhorse. 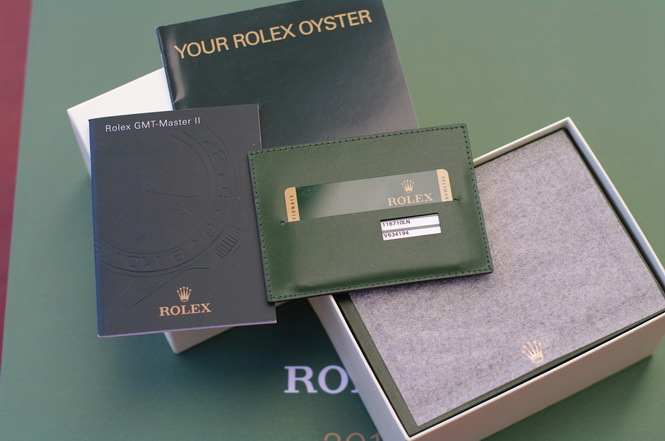 The Oyster case is a real winner for Rolex. It feels like the movement is locked within a safe and you’ll need a special tool to screw out the case back. Wearing this watch it feels like you can put it through hell and come out relatively unscathed. The movement is the Rolex in-house caliber 3186. Unfortunately there is no clear case back for you to admire it through (a definite downside) but perhaps a blessing in disguise as nearly all Rolex movement are only very lightly decorated and finished. 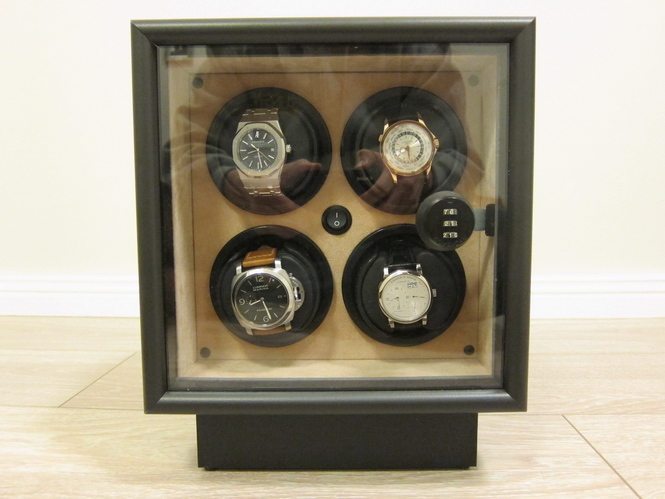 Nonetheless you can get an aftermarket clear case back if you really wanted the movement on show. 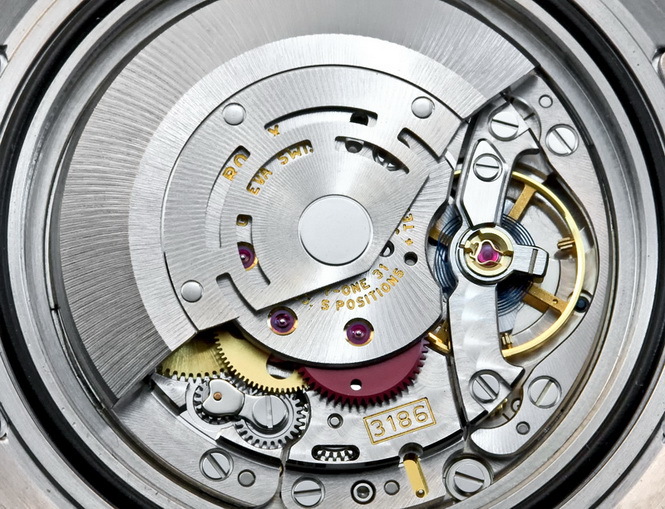 The hairspring on the watch is made from Rolex’s Parachrom hairspring which is more resistant to magnetic fields allowing its owners to maintain more accurate timekeeping. One thing I didn’t quite like was how the movement winded. It was not as smooth as I expected and as you keep winding, you’ll feel a scary clicking sensation as the winding clutch is engaged to protect it from over-winding. The crown stem also never wanted to make up its mind. Don’t pull out enough and it doesn’t engage in the right place, pull out too much and you are on a different setting point. Sometimes it would work as expected, sometimes it didn’t. On the first click you can quick adjust the hour hand. Much like the PAM 312, this is a very convenient feature. Second click and you can adjust the minute, hour and GMT hand together. The GMT function allows you to set a home and away timezone. Alternatively you can set the GMT hand to Greenwich Mean Time and then use the bezel to offset to get your desired away timezone. However it relies on you knowing what the GMT +- offset is in that timezone, and obviously not everyone knows this off the top of their head. The second hand on most Rolexes is great to watch (thanks to 28,800 vph), it sweeps very smoothly around the dial and this caliber offers an ample 50 hour power reserve. The last comment I would make is around the date mechanism. The watch clicks over the date at approximately +- 5 minutes at midnight. You don’t get that annoying 4 hour transition time whereby the date slowly turns over. Great! However my piece had a problem as it would occasionally hang. It was as if the date struggled to completely tick over and just hung between two dates. A quick trip to the Rolex Service Center sorted this problem out under warranty. Their explanation? The gears for the date were over oiled causing it to stick during the date change. The timekeeping on my GMT-IIc was very impressive. 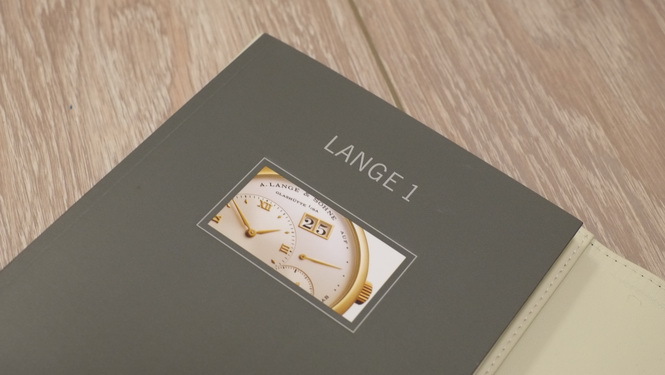 Rolex puts its watches through COSC certification and the normal operating range is between -4 and +6 seconds a day. My watch consistently ran approximately 2.5 seconds a day faster. 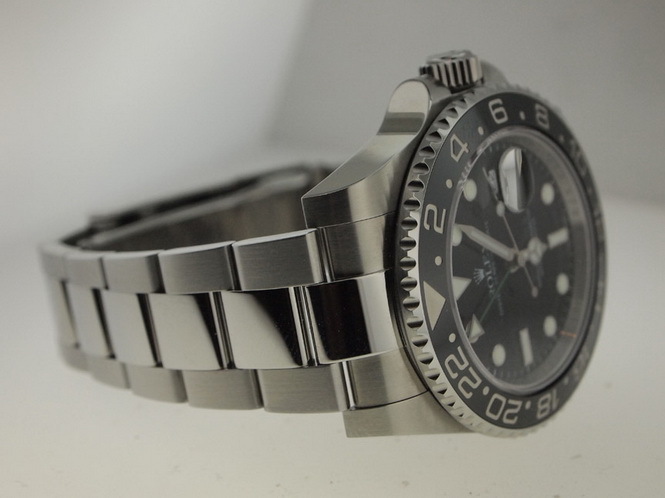 The dial is what Rolex refers to as a Maxi dial. The circle Superluminova filled markers are enlarged compared to the older models. Stand out items include the green text and green GMT hand. The dial is not a gloss black but not a matte black. Its hard to describe but it is the right balance for this watch. 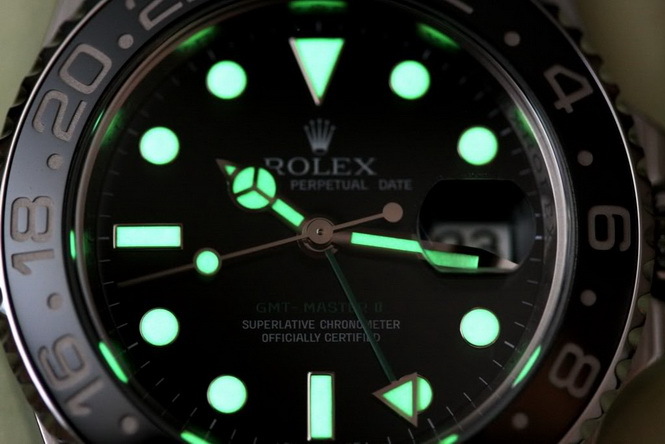 The lume is very strong on this watch which is always handy. The date background is in white and is very legible against the black dial. Its also enlarged clearly 2.5x by the magnifier on the crystal. The text on the dial is applied neatly and accurately. We wouldn’t expect any less from Rolex. 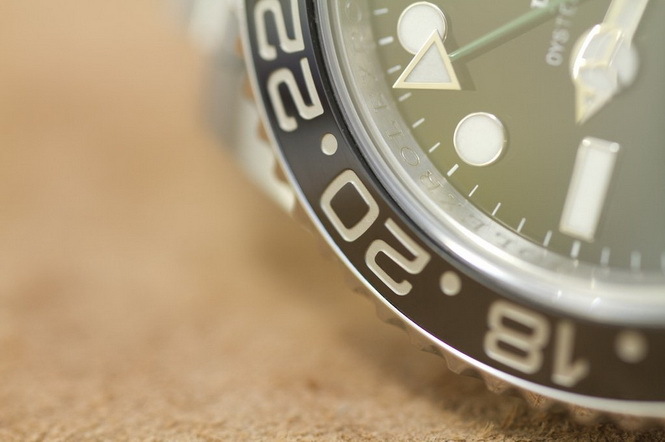 Many GMT-IIc owners prefer for the watch to be an all-brushed case and bracelet. As a result, some have had the polished areas brushed by professionals to get a similar look to the Sub. I was tempted to do this but the thought of ruining the finish stopped me. The bracelet is easy to self size. The best feature about it is that you can adjust it very slightly on the go via the Easylink extension system. 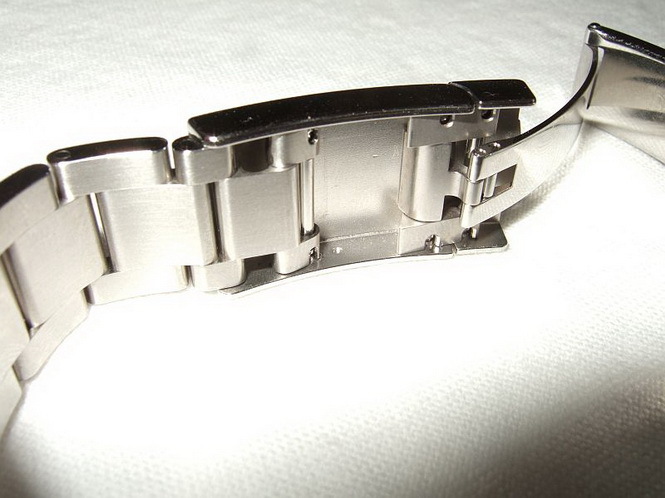 Simply take off the watch and unclip the extension that is hidden underneath the buckle for an additional 5mm. Handy when your wrist size increases slightly due to warmer temperatures or feels a little too snug towards the end of the day. The bracelet is very comfortable (one of the most comfortable) and sturdy. 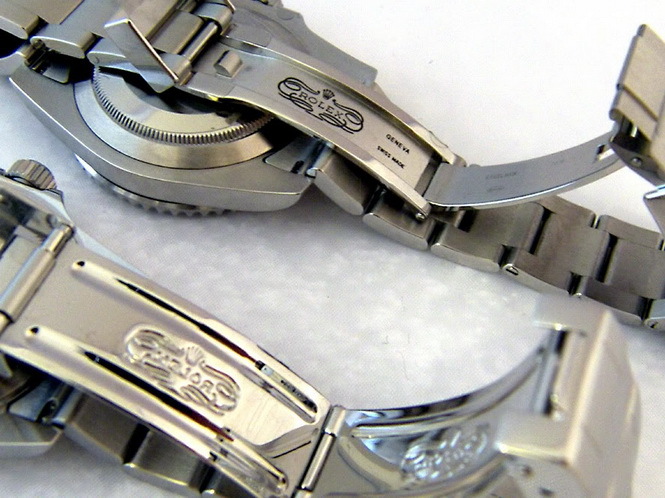 Unlike the older stamped steel buckles, the modern Rolex buckles are a quality work of art. You’ll definitely notice the difference. The Rolex logo appear to be printed onto the buckle itself. Strange initially, but its executed well. There are engraved markings across other parts of the buckle and bracelet. Opening and closing the buckle is a 2 step one. Flick the retaining clip, then pull on the main buckle clip. Useful if you are ever worried about it coming loose unexpectedly. 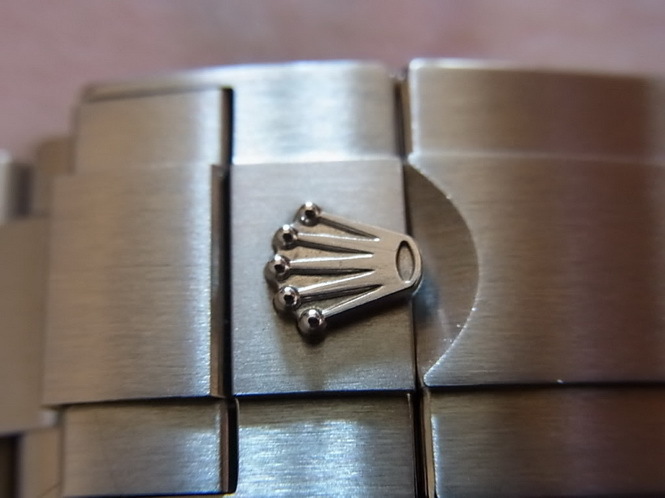 The Rolex metal logo is laser welded onto the retaining clip, and so is the buckle to the bracelet. One issue I had was that the retaining clip was not completely aligned to the buckle itself. As a result, there was one corner of the buckle sticking out with a sharp edge. I did ask for this to be resolved or adjusted but was told it was within the Rolex tolerance levels. Nonetheless, you soon forget about it and turn to just enjoying the watch. Most people would agree that Rolex packaging is a little sub par compared to other brands. However as you may know, Rolex focuses on execution and function rather than the bells and whistles. 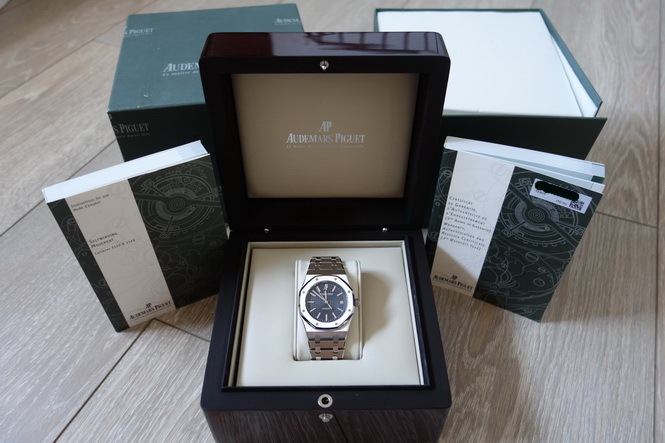 The watch came in a green vinyl coated box with a nice wavy pattern on top topped with a gold Rolex crown. The main box comes in a lighter green cardboard box, further surrounded by a simple cardboard slide through cover. Inside the main box it is lined in light green suede and there is a plastic bezel protector for the watch. The warranty is via a green card in a green card holder. 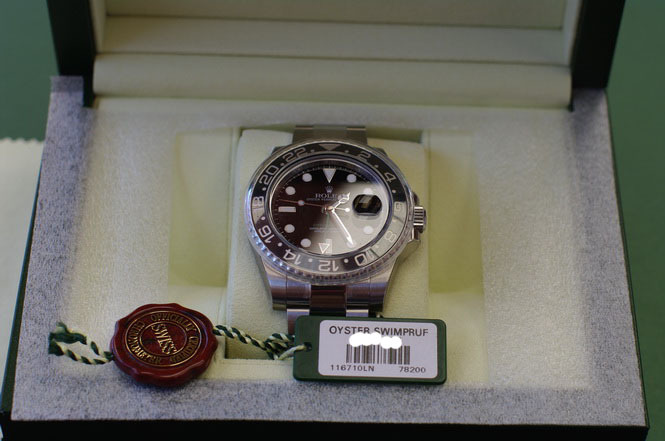 The package contains a simple GMT instruction booklet, Oyster watch booklet, and a maroon hand tag. Overall it feels quite Spartan. I tend to appreciate the effort brands put into packaging so would prefer something more luxurious. Nonetheless, alot effort did go into the protective stickers on the watch. There were so many protective stickers, some applied so well that I only discovered them after wearing it for a couple of weeks. Recommended retail price at the time was AUD$10,650. With a small discount, you can pick up this is a great watch sub $10k. With an in-house movement, this great all-round watch can go anywhere and do just about everything with you. 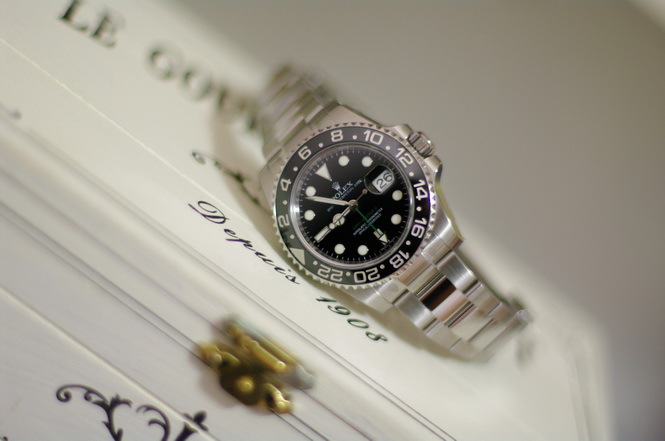 In Sydney, you can find Rolex at the below authorised dealers. Or visit here for the nearest dealer to you. 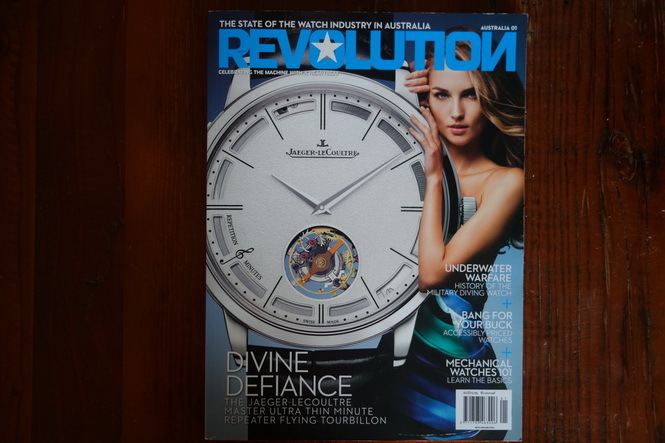 Sadly I have since flipped this watch for another (review on that one to come in future). However I enjoyed this piece as it was a welcome break from wearing a leather strapped watch. It ran very well and put up with my daily and holidaying activities with flying colours. It is the kind of watch that deserves to be worn 24/7 and will easily stand the test of time. 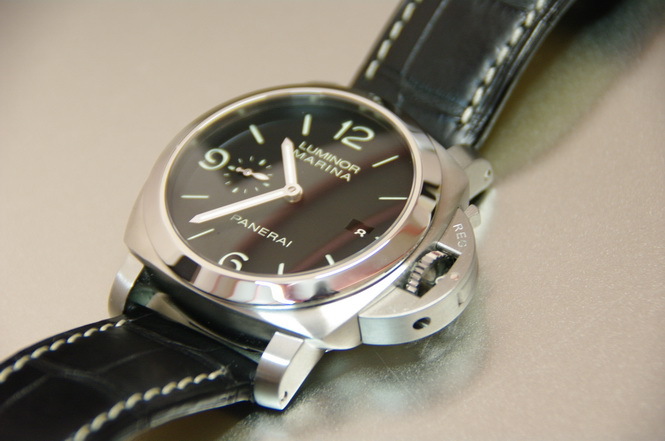 I am a student watchmaker in Seattle, WA, and am looking to improve the quality of the photographs that I take. What camera/photographic device do you use, and what setup are you utilizing to produce such superlative photos?